Recently, I had the opportunity to attend the CS Fundamentals Introduction Workshop sponsored by Code.org. This workshop explored why computer science should be taught to all students. The presenter was Vinos Kassab (@kassabv). 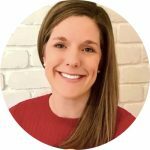 She shared how students’ computational thinking (CT) skills are developed when adding computer science activities into the classroom. In addition, all participants had an opportunity to explore the curriculum provided by Code.org. I would encourage others to attend this workshop (especially since it is free!). For me, the kinds of activities that allow students to think like computer scientists in non-traditional ways were the most intriguing. Teaching coding concepts should have a purpose and be integrated into the already existing curriculum. Many of these activities allow for that! 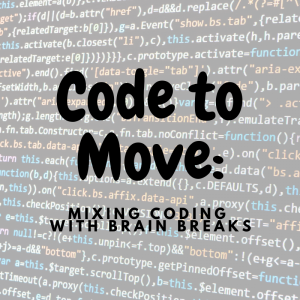 One such lesson, inspired by Code.org, was incorporating coding into brain breaks. All students need the opportunity for movement breaks throughout the day. “Brain breaks are quick, whole-class activities that give students opportunities to pause, move, and interact in safe, structured ways.” (Responsive Classroom, 2016). Studies have shown these types of movement breaks improve students’ ability to focus as well as develop a positive learning environment. 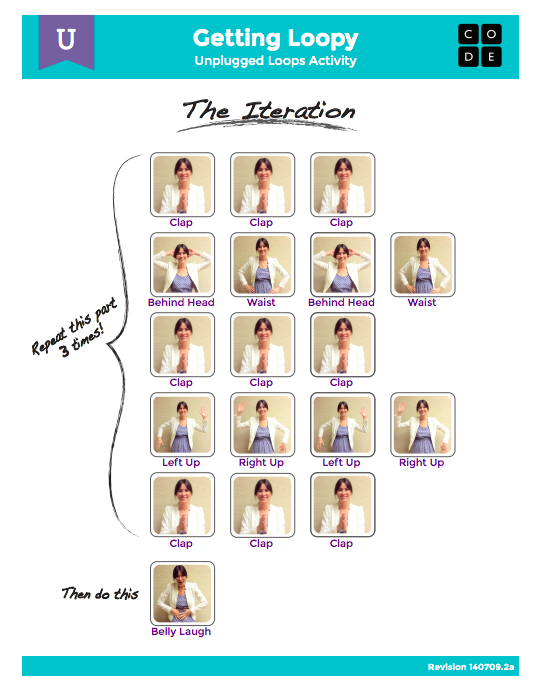 Using “Lesson 7 in Course C of the Elementary Curriculum” the students identified the sequence for each movement presented as well as recognized repeated patterns. They acted out the movements shared in the resources of this lesson. Then they got to make their own! Each child decided on a motion that they could represent in a picture. The pictures were placed in a SMART Notebook. Under each picture, words were added to describe the motion. Then a box was drawn around the picture and word combo. These items were then grouped as one. Finally, using the infinite cloner tool allows for each of the coding blocks to be used multiple times in the code. Now, one of the choices, when students need a brain break in the classroom, is for one of their classmates to build a code with the motions they created. 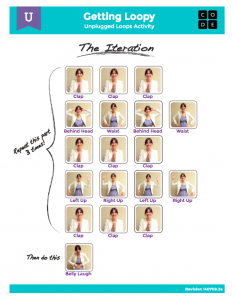 The students then act out these motions together. 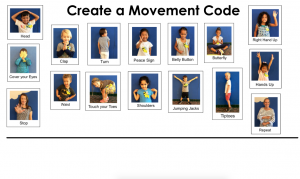 During these movement breaks students begin to understand each piece of the code represents an action. They are finding patterns and recognizing a sequence. Additionally, the students are exposed to coding vocabulary. Eventually, we can teach the symbology for repeating code as well. This quote found on American Library Association (ALA)’s Ready to Code website sums it up for me, “Ultimately, when youth practice CT they find new ways to communicate their ideas, express themselves and practice problem-solving.” This lesson is one of many ways that we can infuse these concepts into our curriculum.